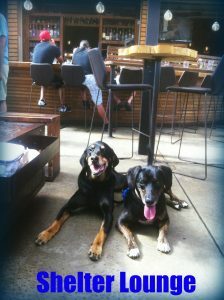 On a sunny Sunday, some of my softball teammates and I headed to the shelter lounge in Ballard after our game. Of course, I had Mister Bondi and Homie in tow. I didn’t want to tie the dogs up outside and, of course, leaving them in the car wasn’t an option, so I inquired with the hostess about bringing the dogs on the patio. To my surprise, the hostess said that I was welcome to bring the dogs inside. What I love about the Shelter? 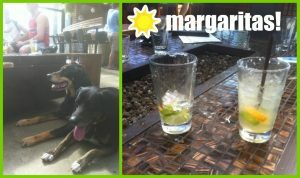 Well, their Margaritas, for one! These were fresh muddled and just the perfect mix of sweet and sour. Bonus points! Also, the space is really nice. There are expansive windows and a fire pit that make you feel like you are outside even when you’re inside. The firepit is even stocked with fixings for smores! The waitress was super busy (the only server working) but she was still exceptionally friendly and accommodating. She even brought me a water bowl for the dogs. 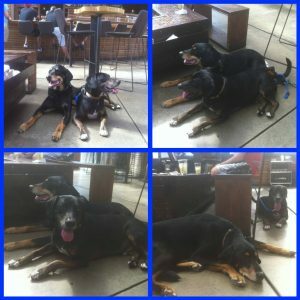 But if you’re looking for a low-key dog-friendly spot in Ballard with great ambiance, I definitely recommend checking out the Shelter Lounge! 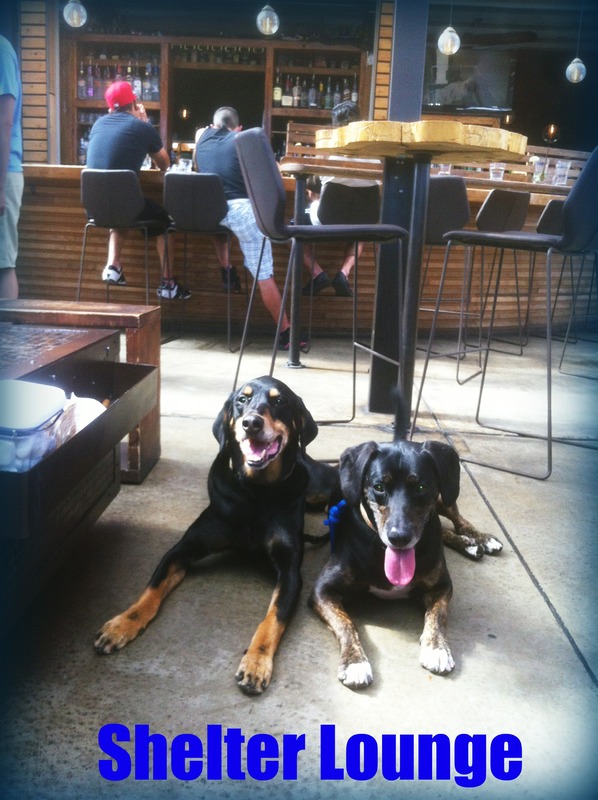 Official Dog Policy: Well-behaved dogs are allowed in the bar and on the patio on leash except during peak hours.